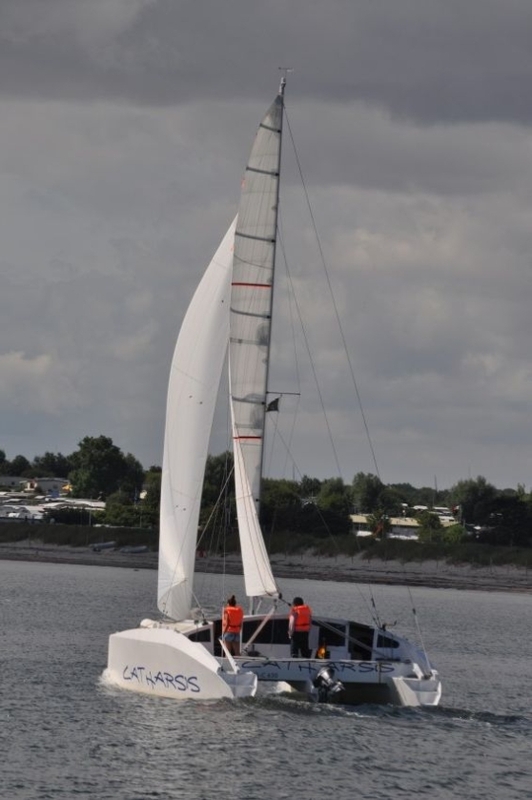 This proven offshore cruiser is sailing the world over. 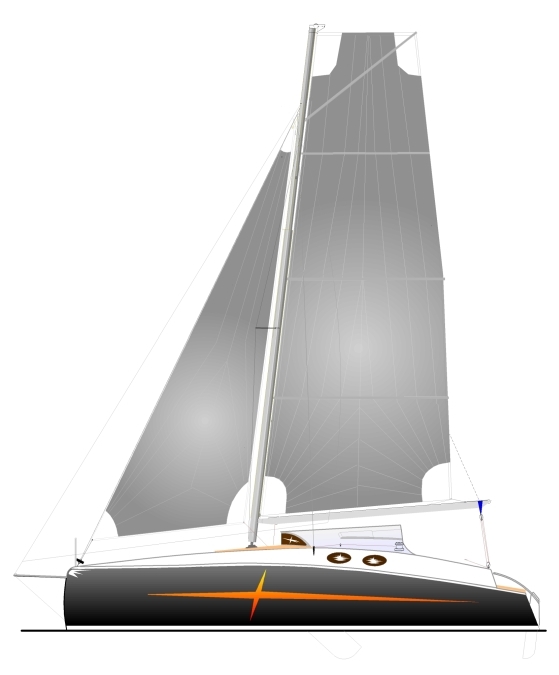 In the meantime many improvements and additions are available for this successful catamaran all are shown in the plans. windward performance. The study plans include diagrams for speed prediction and dynamic stability, so you can see for your self. as the PELICAN. For wind ward performance the boat has, depending on your choice, anti-vortex panels*, a single dagger board in the port hull and my favored solution a a center dagger board under the bridge deck. The dagger board can be equipped with an automatic, so that these turns back to prevent damage to the hull. 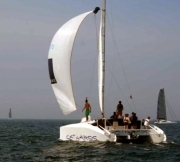 With a draft of only 0,4m you can sail in coves other boats can not reach, but the boat has proven itself to be capable to sail the oceans of the world. 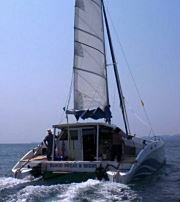 The boat is, like all our boats, a (plywood/glass/epoxy composite construction. Any handy amateur can build this boat without difficulties and surprises. *For an explanation how these work go to the anti vortex article.